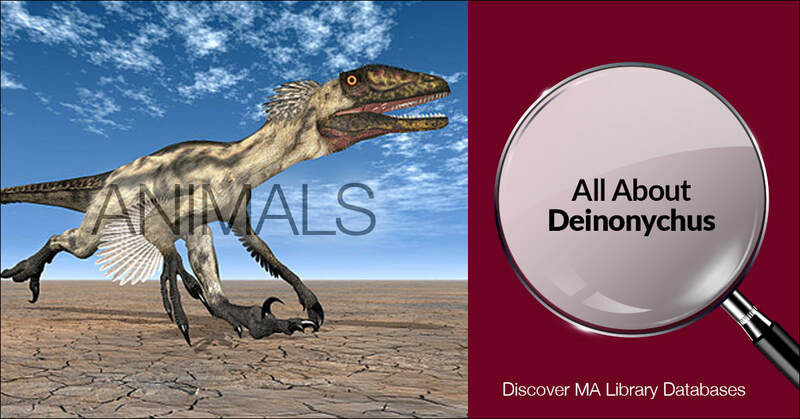 Did you know the Deinonychus (die-NON-ee-kus), who lived about 110 to 119 million years ago, is thought to have sat on its eggs like a bird? Learn more by visiting the database link! Access to Britannica articles and information for elementary, middle, and high school. Read articles, view videos, and explore this elementary-friendly version of Britannica. Read articles, view videos, and explore this middle school-friendly version of Britannica. Can you believe everything you read? Not always. Sometimes it’s hard to tell the difference between real-life headlines and made-up ones—especially on the Internet. National Geographic has a game that helps kids learn how to tell the difference! Interland is an adventure-packed online game that puts the key lessons of digital citizenship and safety into hands-on practice. In the game, players explore four floating islands: Kind Kingdom, Reality River, Mindful Mountain, and Tower of Treasure. Visit the Library's website evaluation practice page! We have 5 websites that could be real or fake. It's up to you to determine the difference. ​Downloadable worksheets for both elementary and middle to high school students can help you with your research. BJ Pinchbeck's Homework Helper offers a variety of information and homework help links on many topics. Each page provides suggested sites for exploring your chosen topic. Please be aware that this site does have ads on some pages. Children in grades 1-12 can practice solving math and losic problems through thousands of simple to challenging questions and illustrations. Play with math and give your brain a workout. ​Do you know how to earn money? How much money should you save? Discover the answers now! And play some games along the way to test your money smarts. Visit our Reading Corner to discover titles for your book reports. ​You may also find something to read just for fun! Find books that fit your Grade Level Equivalent, Accelerated Reader, DRA, Guided Reading, or Lexile level. The Caldecott is awarded for excellence in illustrations for children's books. Look at beautiful pictures in books from this year stretching all the way back to 1938 (wow!). The Newbery is awarded for excellence in writing for children's literature. Discover great, award-winning books from this year stretching all the way back to 1922 (awesome!). Find out ways to stay healthy and learn about your body works with movies, quizzes, games, and more. Play games, watch videos, learn about animals and cultures, and get fun facts. Explore space with interactive games and projects that help kids look at our sun and earth, solar system and the universe beyond. Take a virtual trip to the San Diego Zoo! You can find pictures of all the animals at the zoo, watch videos or live animal cams, play games, and learn about all kinds of animals from A to Z. ​This site from Discovery has ideas and tips for your next science fair from inventions to investigations to everyday experiments. Learn to type (and to type quickly!) by working your way through four stages. In Keyboard Climber, help a monkey jump to the moon with your typing skills. Keyboard Climber 2 challenges you to help this monkey to the top of a cave and practice upper and lowercase typing. In Monster Typing, you can defeat the monster by typing the text that appears. Don't forget to destroy the fire balls by typing the numbers on them! ABCya features fun, educational games for Pre-K to grade 5 in a variety of topics and categories including math, letters, geography, strategy, and more! This teacher-created site is kid-friendly and also works on mobile devices and tablets! ChessKid is a an online chess opponent and tutor all in one. ​The site includes interactive lessons, puzzles, and even a downloadable curriculum for adults interested in teaching chess. Cyberchase is sponsored by PBS Kids and offers many different games and accompanying web shorts. With these math-based games, kids can practice logic while finding a mama dinosaur, building toys, and more. FunBrain offers fun games to stretch the mind and imagination, teaching topics like math, grammar, science, spelling, and history for grades K-8.